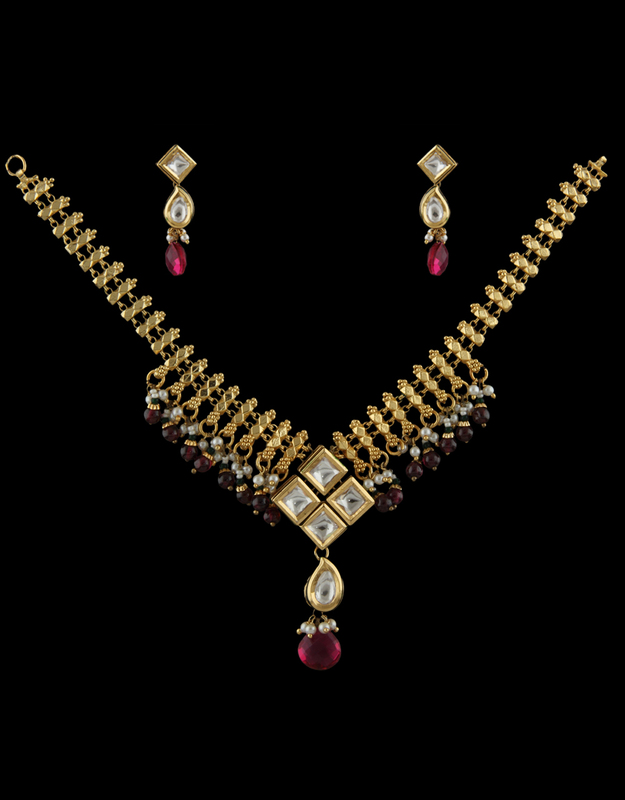 Beautifully designed, this golden & pink colored necklace from the house of Anuradha Art Jewellery features an excellent finish. 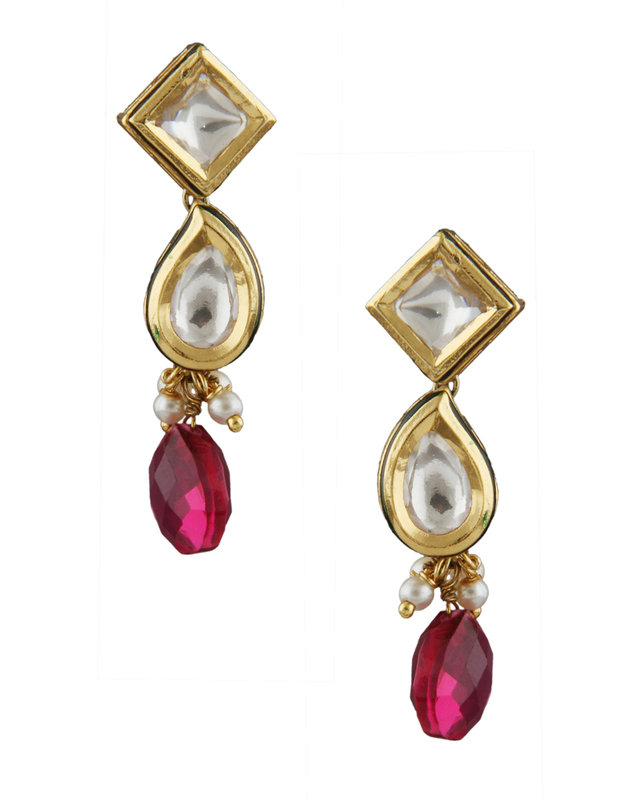 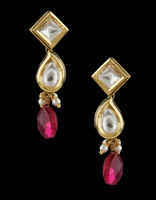 It is studded with kundan & has hanging drops. 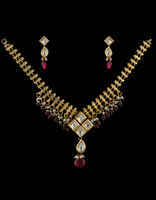 This necklace set is something that is hard to miss by stylish women. It is crafted from 40% silver & golden polished copper.